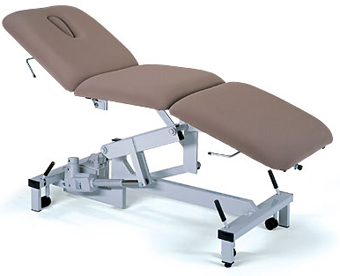 A massage table is a vital part of any practitioner's equipment and it should not be left to chance. Be wise, don't buy from an auction site or a website that does not offer a contact telephone number. Stop looking . . . Natural Living has one of the best priced Massage Table inventories on the net, we also carry a complete line of massage chairs and accessories. No matter what you're looking for we have something to suit your needs. 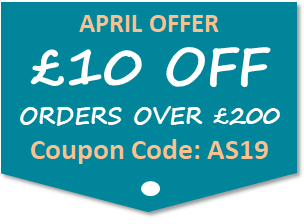 Natural Living has spent years developing close relationships with manufacturers and suppliers in an effort to bring you deals you can't find anywhere else on the web. We have 16 years of experience in the design and supply of quality massage tables, massage couches and electric / hydraulic massage couches. We are suppliers of a select range of massage tables in a variety of designs, styles and colours to suit the individual needs of the practitioner or organisation. We have supplied many of the UK's largest training colleges and institutions together with many NHS hospitals/clinics and spas. We only offer professional quality products from recognised brands and manufacturers. If you need advice or help please do not hesitate to contact us. Very pleased with my recent order, received my items on the date I was told and the massage tables are of great quality! Would very much recommend natural living to friends. We were happy to supply two electric massage tables to the Force India F1 Team based in Silverstone. They needed them really quickly before they flew off to the Turkish Grand Prix and we were able to deliver on time. We wish them good luck for the 2011 season. Natural Living supplies massage tables to the Complementary Therapy Department of the Royal Free Hospital in North London. The well-known hospital is using the Deluxe Electric Massage Couch which is a multi-purpose motorised couch that can be used fully flat or in a comfortable seated position. SPECIALIZED are one of the world's leading bicycle manufacturers producing high quality road and mountain bikes. They asked us to fulfill a specific requirement for 15 massage tables which we were able to do together with one of our trade partners in Spain, Solaria. Many people think they should purchase the widest table available but there are several other factors to consider when deciding on the width of your table. Ease of access, comfort for your client, comfort for you as the practitioner and portability are all things that need to be considered. Generally speaking, the narrower massage tables will offer you the most access to your clients as well as greater portability (less weight). Wider tables do offer a larger work surface and increased comfort for your client but if your table is too wide, you may have difficulty reaching your client effectively. This can become tiresome and difficult on your body over a period of time. For most therapies choose a 25" - 28" width depending on your size and the size of your clients. Finally, as the width of the massage table increases so does the weight. If you intend to travel and still want a wide table, consider purchasing a carry case with wheels or a trolley to assist in portability. These days adjustable height tables are essential for all practitioners. The standard height range on most tables is around 24" - 34" and will serve most practitioners who perform various types of therapy. Usually, the table height range should be based on the height of the practitioner and as general rule, your table should not be higher than your hip joint. Although weight is important when considering a portable massage table, it is no more important than the other factors listed here. Weight is mostly dependant on table size, material and foam depth. Wooden tables are typically heavier but often look better and can be more stable than aluminium tables. Remember the wider the table and the thicker the foam cushioning, the more weight will be added to the table. Wood has proven to be the most often used material for the manufacture of massage tables - wood is also more abundant and cost effective. You usually want to stick to the hardwoods like Beechwood as these are more stable and durable. The most common massage table top is the standard flat top with or without rounded corners. This is perfect for massage, reiki, some physical therapy and other common therapies. It is becoming increasingly popular however, for therapists to offer multiple services, thereby creating the need for a more flexible table. 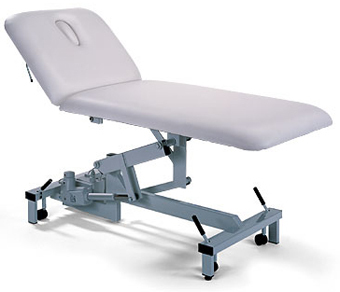 The other popular massage table top is the 'tilt-top' or 'lifting back rest' section. This type of massage table is most popular among massage therapists who may also be providing reflexology, physiotherapy and spa services. Tilt-tops provide sufficient angle to support the client's back in a raised position. Many stationary tables will offer electric or hydraulic lift options as well as power for the table top itself. An electric or hydraulic lift massage table will obviously cost a lot more than a portable. Your decision depends on your budget, need for portability, desire to expend energy positioning clients and also the impression you want to give your client. While considering the thickness of your foam you should always keep in mind foam density. These two factors work hand-in-hand in determining comfort and durability. Since most massage tables that we offer have a multi-layer foam, the only option left to consider is the thickness. 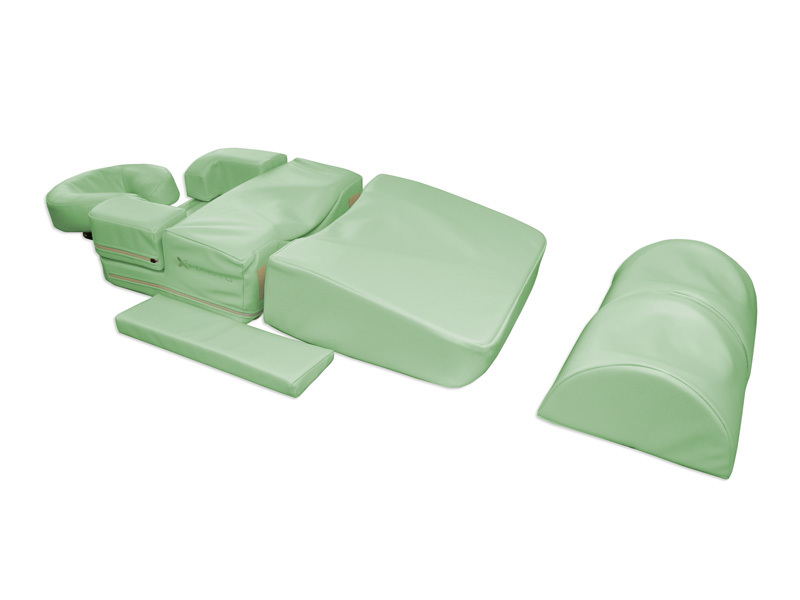 Massage table foam padding thickness generally ranges from 2 to 3 inches. This is usually sufficient to provide a comfortable experience for most clients. Though you might be tempted to add thickness, this will add weight to the table and may not be conducive to portability. Finally, some therapies such as Osteopathy and Physiotherapy are more appropriate for tables with thinner, firmer padding. Easy access end panels are simply different support braces that connect the two legs on the narrow ends of a massage table. Generally, the support panels go straight across the ends connecting the two legs. Rather then go straight across, easy access panels are shaped like an upside-down U, creating an arched support. This allows the practitioner to place their knees between the table legs and get closer to the client on the table. This is more important for Reiki practitioners who need access both above and below the client. It can also be convenient for any therapist to slide under the client on a rolling stool in order to work on the head and/or feet area. Both wood and aluminium frames can provide a strong table base. Most wood tables can support at least 450lbs. The most popular tables have wood frames as these generally have better aesthetic appeal and tend to be less expensive than aluminium framed tables. However, aluminium frames do often weigh less than their wooden counterparts. If you foresee doing a lot of mobile work with your table, it would be wise to consider an aluminium frame table. If you will be travelling frequently with your massage table, you will clearly need a portable table. Make sure you get a package that includes a carry case and other accessories. Some of our most comfortable and highest quality tables are stationary or electric models. These can vary widely in price, but are generally driven by the number of features and options like electronic height adjustment, manual or electric tilting tops, etc. It is important to be weary of cheap imports with no recognizable brand. The saying "you get what you pay for" definitely applies to massage tables. Do not risk you or your client's safety on a no-name brand, cheap table. It's just not worth it! These days there are many small operators looking to import cheap massage tables from China and selling them to make a quick profit. They often sell other unrelated products, have no experience of the therapy market and disappear without a trace in order to avoid after sales support (product returns!). They are often found on lurking on auction websites. Wherever you buy your table from, MAKE SURE YOU ARE BUYING A RECOGNISED BRAND FROM AN ESTABLISHED MASSAGE SUPPLIES RETAILER that can offer you individual advice based on their experience and most importantly they can offer quality after sales service and support. 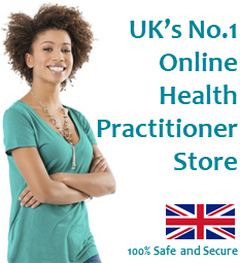 We are the UK's No.1 Online Health Practitioner Store and have 22 years experience of all types of massage table. All our massage tables are branded and naturally include full customer support for the life of your table. Still the original and best massage table store in the UK.